Track Event - Send an Event to Mixpanel. Create or Update Profile - Create a new profile or update properties of an existing profile. 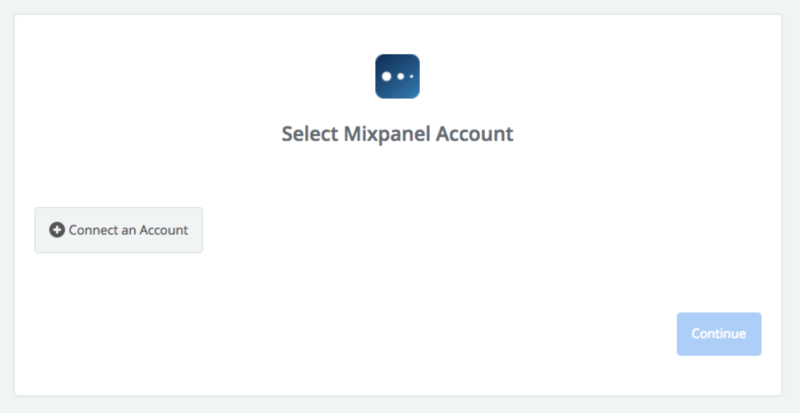 To get started with Mixpanel on Zapier, first you will need to click to connect your Mixpanel account to use with your Zap. Next, you'll be asked to enter your Mixpanel Token. 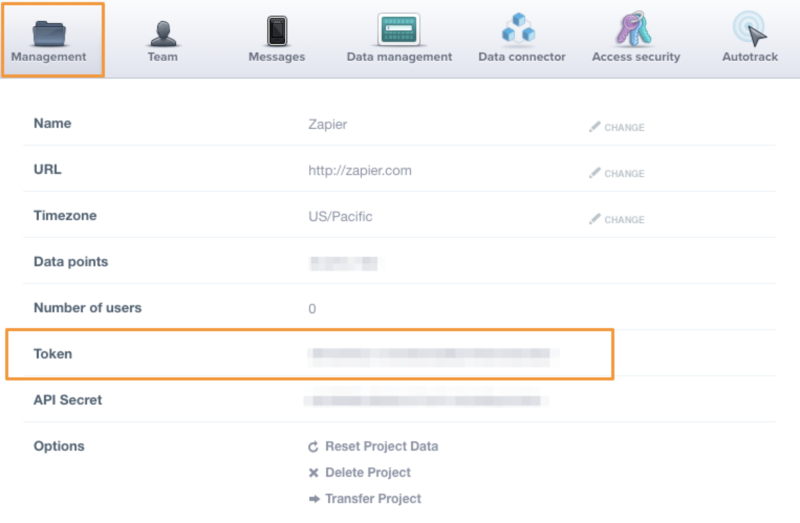 Paste your Token back into your Zapier account and then “Continue”. 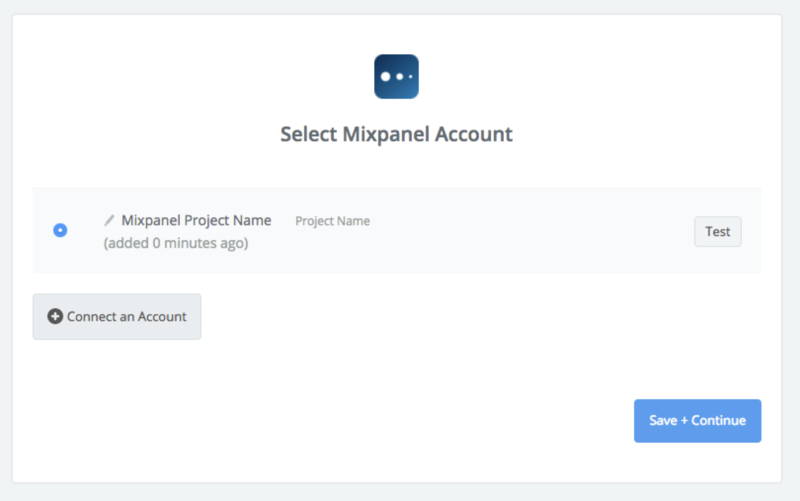 If your Token was entered correctly your Mixpanel account will now be successfully connected. Any other questions for getting started? 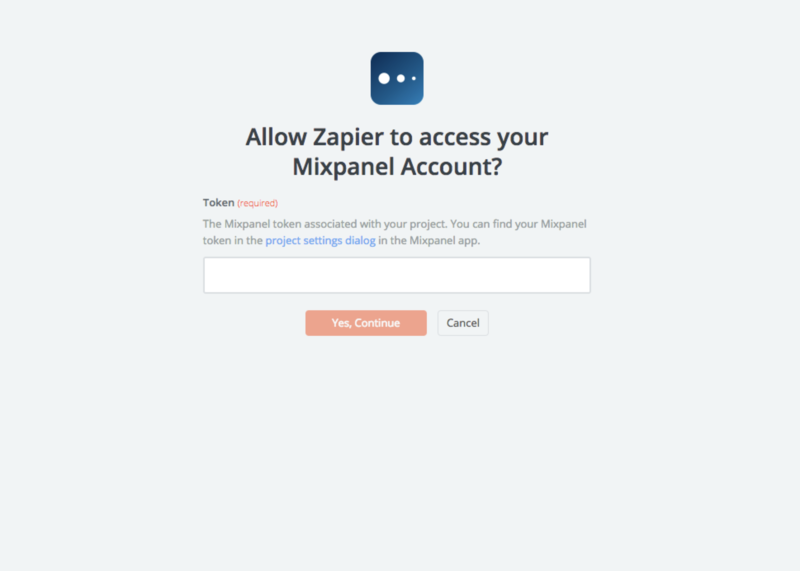 You can see more on Mixpanel's Zapier help documentation here. Have you changed/revoked your token or Mixpanel project? Events in Mixpanel that are not fired after 30 days disappear in the interface. The events are not gone, but if one of your zaps hasn’t had actively in 30 days, you will likely not see those events in Mixpanel. The event will resurface once it is fired again (either manually by testing OR automatically by a Zap rule).